The attendance terminal DT1000 is designed for the gathering of data on the attendance of employees and for controlling of entrances to selected areas (opening door locks, turnstile control, etc. ), as well as the monitoring of the movement of people within these areas. Most commonly the terminals are installed at receptions, within manufacturing halls, on individual floors of administrative buildings or in other places according to the customer’s wish. Information gathered by the attendance terminal (registered operations – arrival, departure, holiday, etc.) is transferred to the computer via a computer network. 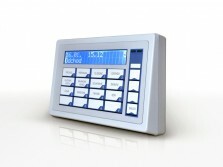 The user can set the frequency of communication with the attendance terminal. The terminal can also operate while it is offline. 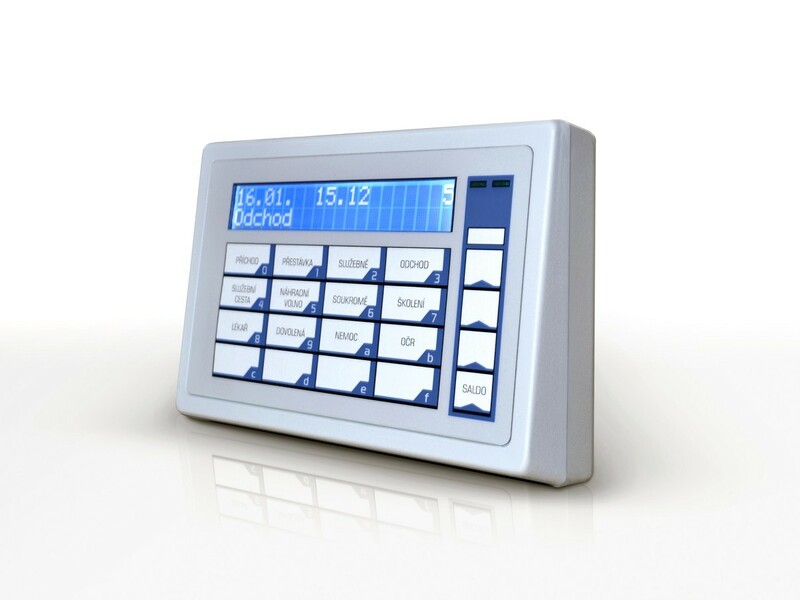 Apart from attendance events, the attendance terminal can keep and display various other information (name, surname, balance, access rights for operating locks and turnstiles for a maximum of 2730 employees; in special cases a larger number). In the offline regime the terminal is capable of retaining 11915 attendance events. The ID media (contactless cards or pendants) are scanned when held to the scanner at a distance of 10cm or less. The reading is most efficient if the ID medium surface is more or less parallel with the case of the attendance terminal. The terminal secures that the card is not scanned twice or more times when within the scanning reach of it. The card will be scanned again only after being taken from the scanning reach and approached again.